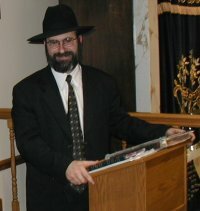 Ahavas Torah at goDaven Shiurim. Learning Everywhere. goDaven uses Google Maps for mapping. Google Maps could not locate an address for this address (currently set as “1425 Rhawn Street, Philadelphia, PA, USA ”). Click on "Update this Location" below and submit the correct address to goDaven. Thank you for helping keep goDaven up to date. Please use the listings in this database as a general guide. As shiur times may change on short notice, always call first before attending a new shiur for the first time. To edit a shiur listing, mouse over the shiur and click the "Edit Shiur" button. To add a new shiur to Ahavas Torah, use the submission form. Notes: Shiur for Men, given in English. Fridays in winter at 8 p.m. at R' Leizerowski's Shul; Fridays in summer at 6 p.m. at Ahavas Torah. Shabbos afternoon between Mincha and Ma'ariv at Ahavas Torah all year round. Notes: Shiur for Men, given in English. Notes: Shiur for Men, given in English. Follows 1st Maariv in winter; follows Mincha in summer. Notes: Shiur for Men, given in English. Also Shabbos mornings following davening. Also Friday nights in winter at R' Wachs' home. Tries to keep up with Dirshu's pace of 1 amud per day, 5 days per week.